“Water, Rest, Shade.” That’s all it takes to avoid heat illnesses! Outreach Training Resources are just a mouse-click away! 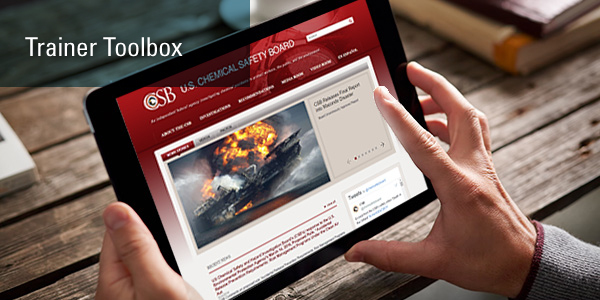 The Chemical Safety Board offers videos and investigative reports that provide examples of real workplace accidents, which can be used as case studies or for discussion in outreach training. There is so much to take away from each of the videos! 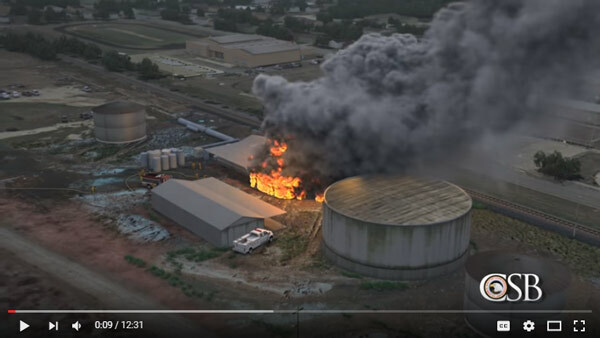 The latest one explains the events that caused the explosion at the West Fertilizer Company in West, TX in 2013, and may be helpful when teaching topics such as hazardous materials, material storage and emergency action plans. To maintain a safe and healthy work environment, all employees—whether temporary or permanent—should have basic safety training that enables them to identify hazards surrounding them. While there may be distinct differences between permanent and temporary employees and the roles they play within an organization, there is absolutely no difference when it comes to the importance of each person’s safety. Help make your work environment safer with FREE Workplace Safety Training for Temporary Workers. Thanks to a Susan Harwood training grant, these materials were developed by the U.S. Department of Labor, Industry Expansion Solutions and the Southeastern OSHA Training Institute Education Center for your use. “Water, Rest, Shade.” That’s all it takes to avoid heat illnesses. With temperatures rising and humidity growing, heat stress is not a matter to be taken lightly. In 2014, more than 2600 workers suffered from heat illnesses and heat strokes, which were 100% preventable. Don’t over-exhaust yourself or your employees. Make sure all workers drinking water every 15 minutes and resting in the shade, hidden away from the sun. Check out OSHA’s Campaign to Prevent Heat Illnesses in Outdoor Workers for more details and training materials! Have you ever taken a look into the outreach training resources located in the Trainer Portal? You may be surprised by the sheer volume of useful information that can be found there! Since only our OSHA Outreach Trainers have access to these resources, users will have to log in initially. Once logged in,you’ll see all of the materials we have to offer. Don’t get overwhelmed—we’ll walk you through them! Order Replacement USB Memory Stick – The most up-to date resources will always be found in the Trainer Portal. During your trainer course, you also received a USB loaded up with the same information. If you wish to order a more current version of that USB or have lost your original one and would like to have it replaced, click on the link found in this folder. Course Administration – All Industries – Here you can find sample agendas and sign-in sheets designed to help you comply with the Outreach Training Program Requirements. There are also sample certificates you can use if you don’t have time to create your own. You can even find a training and recordkeeping checklist to make sure that you are meeting all of the OSHA Outreach Training Program Requirements. 2-Hour Intro to OSHA – REQUIRED FOR ALL CLASSES – As you already know, the Introduction to OSHA must be covered for a minimum of 2 hours regardless of what industry you are training in. 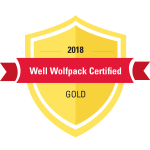 In this folder, you will find the most current guidelines, required handouts and activities, PowerPoint presentations, and a test to help you meet all of the objectives required by OSHA. Construction Outreach Trainer Resources, Disaster Site Trainer Resources, General Industry Outreach Trainer Resources – These three folders are filled with resources specific to each industry. You will find presentations, handouts, videos, games, procedures that specify topic and timing requirements, and other resources to utilize. Most Frequently Cited – All Industries – Here you will find a list of the Most Frequently Cited violations over the course of several years, with 2015 being the most recently available data. Temporary Worker Training Materials – Need a training program for your temporary workers? Here is a great one for free, in both English and Spanish!